Demand for the iPhone 9 could be far higher than initially predicted according to a survey by technology research firm Loup Ventures. Researchers asked 530 US-based iPhone users when they planned to upgrade their handsets. To their surprise, almost half of respondents said they were planning to upgrade within the next 12 months – far more than last year. According to the survey, 48% of current iPhones owners intend to upgrade to a newer iPhone model in the next year, compared to just 25% in 2017. In addition, 19% of the 212 Android users surveyed said they intend to change to an iPhone within the next year, compared to only 12% last year. Loup Ventures' survey was small and its figures might not be a totally accurate prediction of upcoming sales (not everyone who says they will buy an iPhone actually will), but the results are still a good indication that there's particularly keen interest in the iPhone 9. So why are iPhone users to keen to upgrade? It may be a matter of looks. As other phone makers rush to copy the iPhone X's distinctive design, customers are beginning to feel a bit left out if their phone's screen isn't sporting a notch, and are more willing to upgrade from their old devices. 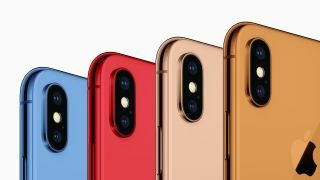 Apple is expected to announce the iPhone 9, iPhone 11 and iPhone 11 Plus (official names TBC) in the next few days, and the caché that comes with a modern notched design will surely be a factor for customers considering a new handset.